Ian Withnall has been field directing for National Geographic Channel on their new multi platform series “Only In OZ”. The production is an adventure based factual series and initial play will be through the National Geographic Channel App on Optus. The stories will be assembled into one hour episodes and air on National Geographic Channel Australia and throughout several overseas territories. Ian and the crew had many truly amazing adventures, from a 1.5 km radio telescope, to Camels, Crocodiles and even Feral Cats. Ian worked with presenters Stephanie Bendixsen, Luke Ryan and Tyson Mayr from the harshest deserts, to the cold mountains and the hot tropics. The team at Prospero Productions managed to get the crews into all kinds of out of the way places, and encounters with all kinds of fascinating people. Ian has been thrilled to work on this blue chip show, and all three of the on-camera talent were a joy to work with. Thanks to Prospero Productions for having Ian along for this wild ride. Only In OZ is now streaming through Optus on the NEW @NatGeoAu App. Ian Withnall with Presenter Luke Ryan, AP Matilda Price, Sound Lachlan Coles and Cameraman Grant Puckridge on location in the South Australian Desert for Only in OZ. Behind the scenes shooting at Molonglo Observatory Synthesis Telescope (MOST) with Astrophysicist Professor Matthew Bailes, Presenter Stephanie Bendixsen, Cameraman Geoffrey Ellis, and Soundo Andrew Hogan. 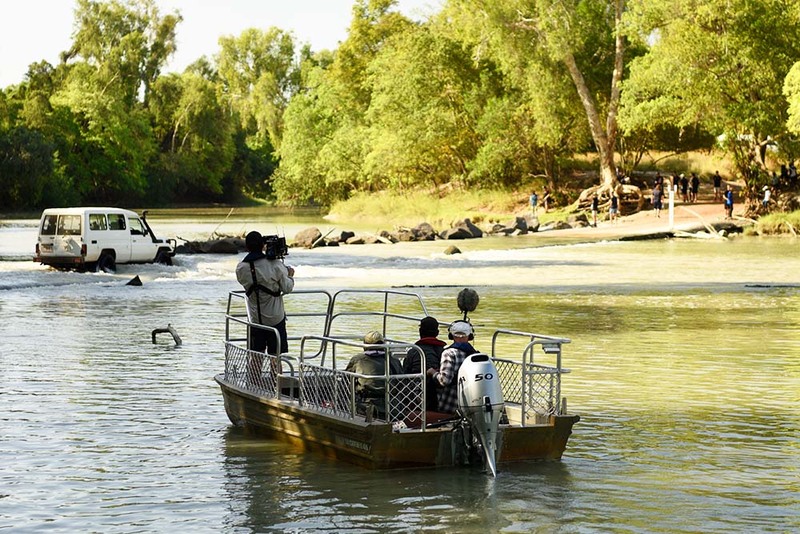 Boating with the crocodiles at Cahills Crossing, Kakadu National Park NT. 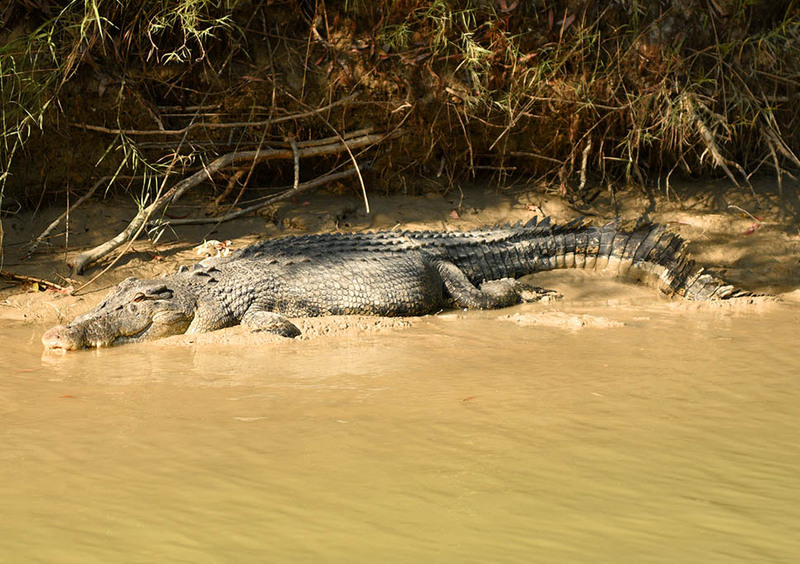 A big one at Cahill’s Crossing, Kakadu National Park, NT.